Hydraulic Pressure Die Casting is is a type of pressure applied in the liquids to make a desired shape. 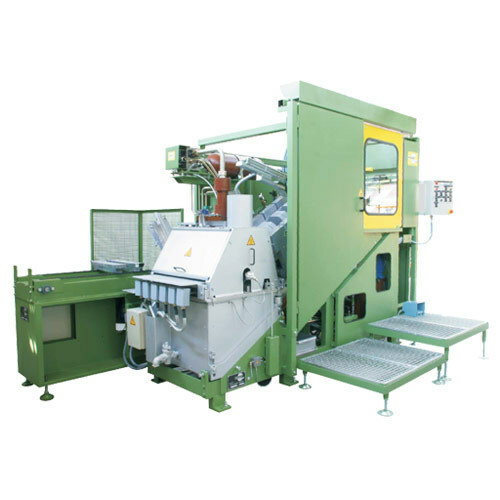 Hydraulic Pressure Die Casting is a machine generally working on this principle. It is heavier and little expensive but by this we are offering high efficiency level. In general our product is for heavy engineering industries. We, Rajshi Technologies (India) Pvt. Ltd., an ISO 9001:2008 certified company has established in 2010 is counted amongst the renowned manufacturer, supplier & exporter of wide range of Pressure Die Castings. Apart from this, we are also offering Tooling Design Services. While Mr. Abhinav Lakhotia is working as the management lead from a long duration, 25 years of working experience is helping him to move this organization towards a better version in terms of quality. We are already maintaining international standard quality parameters. The production is almost based on continuous process because we are bothering about uniform quality. Our product range includes Pressure Die Casting, Aluminum Die Casting, High Pressure Die Casting, Tooling Design, and CNC Machine. We have well trained engineers, technicians and other supporting staffs who helps us to maintain best standards and also enable us to cater the requirement of our clients all across the globe. Not only in production area but beside that our company also made a long way in marketing. The marketing strategy is based on fulfillment and it is double faced; customer's side and social. Beside the employment it is offering environment friendly production.Moreover, we also conduct various tests at our laboratory to ascertain physical and mechanical properties of these equipments. We have our huge clients from all across the globe.